Whether it is a bachelor party, office party, client outing or family gathering, a day at the range is just the right thing for those outdoor enthusiast. Also don't forget that a Sporting Clays event makes a great unique fundraiser! Give us a call today and we can customize a day, or afternoon to work for you! No group is too big or too small!! This year's Whole Hog Open was held June 8th - 17th. We ran the shoot similar to the State Shoot last year and we again had great success with this format. We had 182 shooters this year, the largest attendance to date. We want to say a great big THANK YOU, to all who attended and also to those of you who took send back the response to the survey questions. In just 8 weeks the birds will be flying! We are looking for a fantastic year. This year we will again have 7 different fields to choose from for you hunt. This August 24th through the 26th, we are having our annual Shoot for Hope. For questions on any of these events or to set up your own just give us a call at 402-545-3111 or email at oakcreektrk@hotmail.com today! 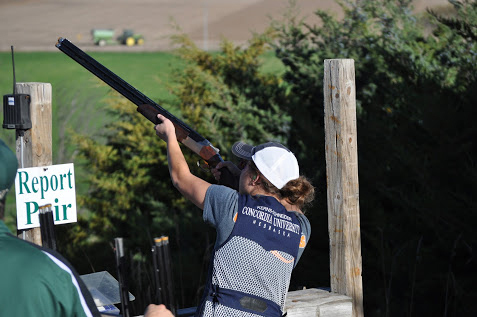 Oak creek is always changing, making for a consistent sporting clays challenge. The best part is the feeling of being welcomed and remembered every time I come. If I come home to Nebraska, I always visit Oak Creek!! 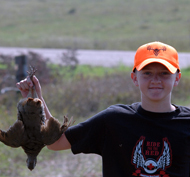 Best sporting clays course within an hour of Omaha. The folks who run this business have always been great to work with. Highly recommend a day here for hunting or shooting.